River Lane Ranch has many friends that they have met along the path to Healing With Horses. Those who have offered support, kindness and encouragement for our journey. We wouldn’t be where we are without them and we highly recommend them and their services. Shenandoah Gypsy Vanners Horses, owned by Barbara Williamson is nestled in the beautiful rolling hills of central Florida. Barbara has achieved an unprecedented record in the show ring and has made an indelible mark in the Gypsy Vanner world. 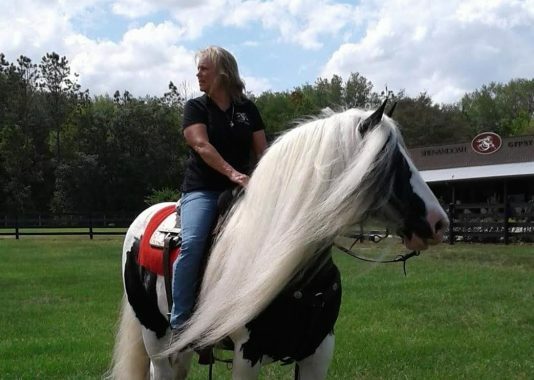 From WR Young Latcho Lou, the most awarded Gypsy Vanner in the history and the top show mares in the country, to her illiteracy initiative and senior living visitation programs, Barbara has proven that Gypsy Vanners have gifts in and out of the show ring. We are thrilled to have Barbara’s support, friendship and guidance as we continue to strive to achieve the same standard of excellence that Barbara has established. Find out more about Shenandoah Gypsy Vanner Horses here. Dale and Cheryl Nygard have been the most amazing people to work with. 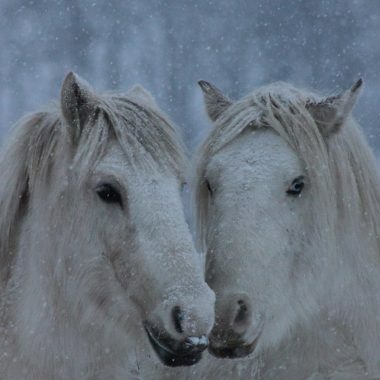 Many of River Lane Ranch horses have come from North Fork Gypsys and we are proud to consider ourselves friends and colleagues of them. Dale & Cheryl are two people who fell in love with the Gypsy breed and set out to import, breed and achieve excellence in the Gypsies. 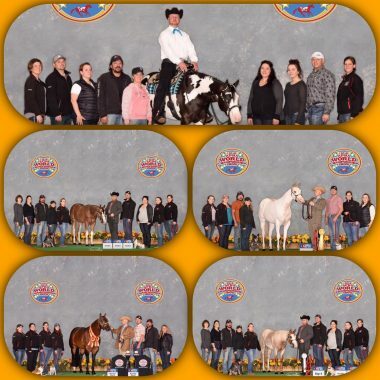 They are one of the first breeders to bring the Gypsies to Canada, and for that, we are truly grateful. We continue to work closely with North Fork Gypsies on this journey and strive to achieve the level of breeding and excellence that they have. 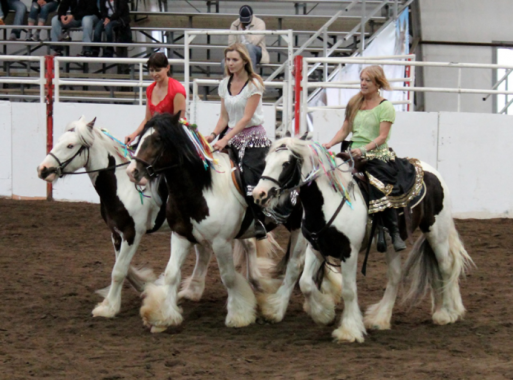 Stephanie and Riley Hickey raise their own Gypsies along with manage the herd for North Fork Gypsies in Riley Alberta. 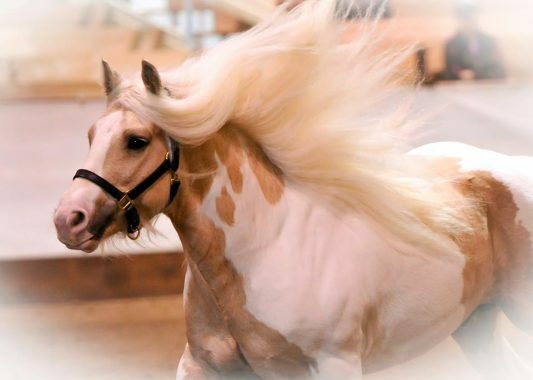 Stephanie, in our opinion, is one of the most amazing horse women we know. She has studied intensely with Pat Parelli and does several clinics throughout the year at River Lane Ranch and other locations. We have learned so much about the breed from Stephanie and we are blessed to know her and call her a friend. Find out more about Stephanie by clicking here. Kate Wells spent endless hours with us on the phone when we first began to research the Gypsy breed and went looking for a Stallion to enter into our program. Kate has a love and kindness for the Gypsy Breed that matches the breed perfectly. She breeds quality Gypsies and is very passionate about the breed and making the right match between horse and owner. We are proud to know her and call her a friend. Find out more about GHOHH here. Still Meadows Ranch has been a part of our lives for over 10 yrs. We learned to ride here and built a strong foundation for not just our knowledge of horses but in our lives because of this ranch and the love and blessings it has bestowed unto us. We are forever grateful to Maxine Rusnak and her family for all they have done and continue to do for us and our horses. Find out more about Still Meadows here. Chris Miller & Rich Zenner have been breeding, training and showing world champion horses for many many years. Both Chris and Rich grew up in the industry of horses and have spent a lifetime following their dreams to greatness. They have won several world show titles and strive for excellence in each and every way. We consider them great friends, and advisors when it comes to the world of showing horses. If you want to go for gold, then these are the people who can help take you there! Find out more about CM Performance here.